With the lack of snow this winter, the Land Trust has been able to get out and make improvements at Meadowview. Work centered on plans to extend the existing trail through the marsh located beyond Meadowview Pond. To improve views for hikers, small trees and brush were removed from the marsh. 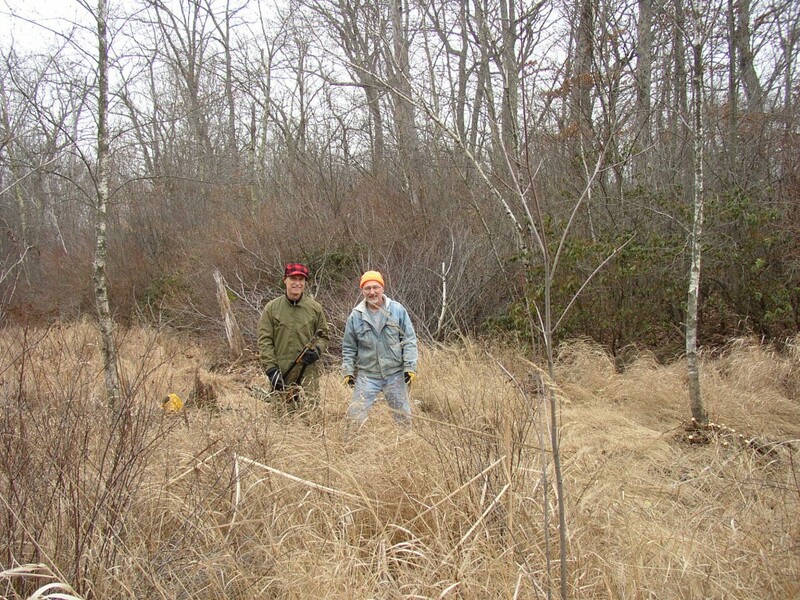 Gary Griffin (left) and Eric Rahn (right) clearing brush from the interior marsh at Meadowview. 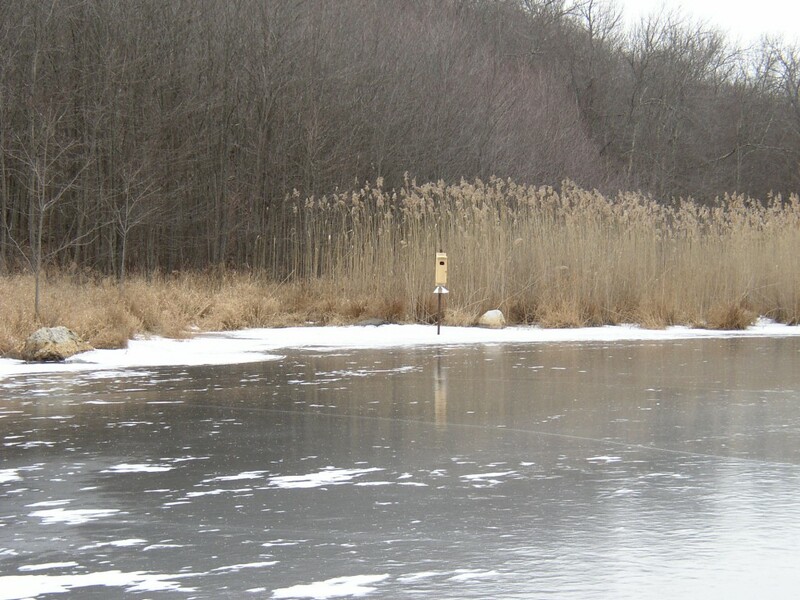 With safe ice by late January, Land Trust volunteers were able to walk out on Meadowview Pond to install a wood duck nesting box. Meadowview Pond should be an ideal habitat for wood ducks. 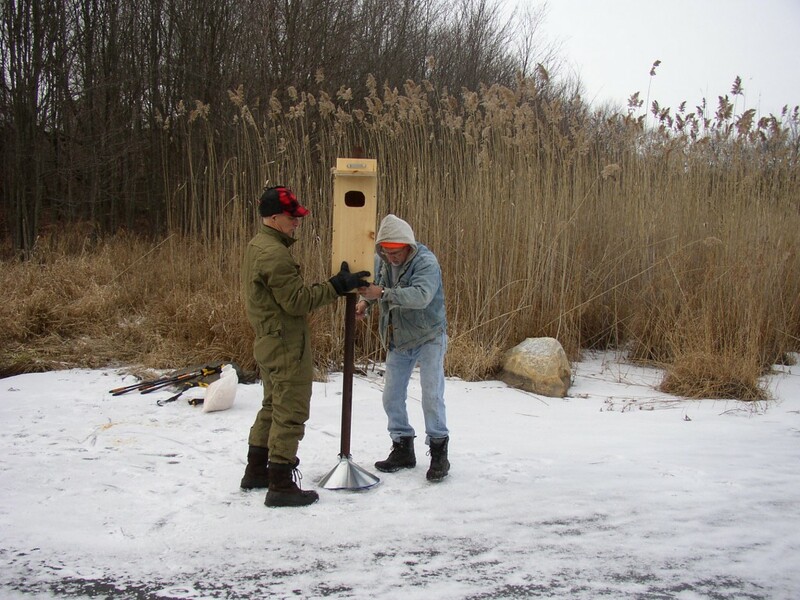 Gary Griffin and Eric Rahn installing the wood duck nesting box. 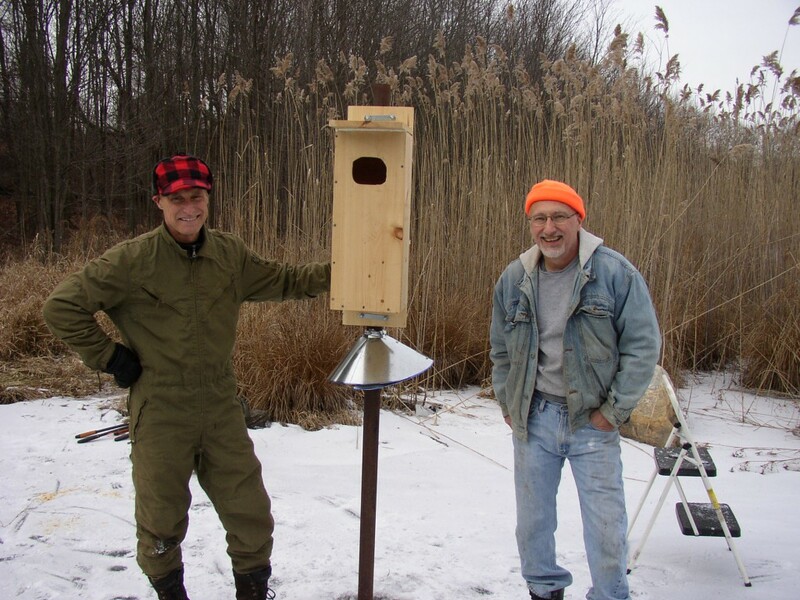 The Trust gives big thanks to Eric for building the nesting box to exact specifications and to Gary for his help installing it. Wood duck nesting box seen from the dike of Meadowview Pond. Nesting boxes are intended to provide cavity space for wood ducks that are unable to excavate their own holes for nesting. 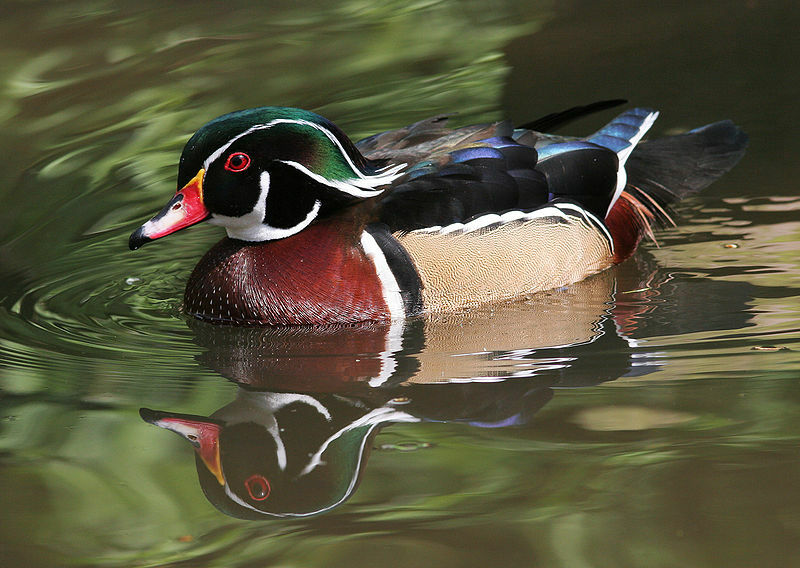 According to the CT DEEP, wood ducks were on the brink of extinction by the early 1900s, but have recovered. Their recovery is partly due to the installation of nesting boxes.